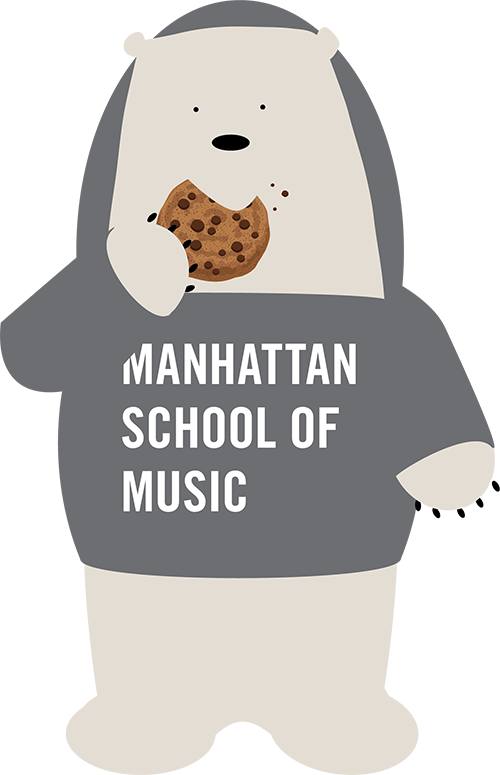 In these pages, explore the Manhattan School of Music campus, located in the academic heart of Manhattan’s Upper West Side. Since 1969, the 100-year-old Manhattan School of Music has been located at the corner of 122nd and Broadway in Morningside Heights, in buildings constructed in 1910 for the Institute of Musical Art and 1931 for The Juilliard School. It is truly an academic and bucolic neighborhood — to the west, we overlook Sakura Park and the Hudson River. To the south, our neighbors are Union Seminary and the main campus of Columbia University, and its colleges Barnard and Teacher’s College. Across the street, is the Jewish Theological Seminary. To the north, is Harlem, and the beating heart of the birth of Jazz. MSM is a peaceful and safe area, just a short train ride away from the very center of Manhattan. We are conveniently served by the Number 1 subway line at 116th and 125th street, as well as the nearby A, C, and E lines. Please visit our Photo Tour page for a full view of our campus, including our 16-story residence hall and eight performance spaces, but better yet, come and see us in person! To the west, MSM overlooks the Hudson River, Grant's Tomb and the Riverside Church (left). MSM has eight performance venues and students perform in more than a dozen respected music halls around the city. Pictured here is the rendering of Neidorff-Karpati Hall, currently under renovation and scheduled to open in Sept 2018. Visit our Performance Venues and Off-Campus Venues pages to learn more. The 16-story Andersen Hall residence hall is adjacent to the main MSM building. Visit the Housing & Residence pages to learn more. Our neighbors to the south on Broadway: Columbia University main campus and its Barnard College (picture) and Teacher's College; The Union Seminary and the Jewish Theological Seminary. Watch the video below to learn more!